Will there be a Disney Bus Wait Times App? You know, I think the jury is still out when it comes to the My Disney Experience website and app. I think that a lot of people like it, a lot of people don’t, and I’d guess that it’s about 50/50 in terms of split. Maybe not, but that’s my feeling. From a techy perspective, I think the MDE concept is a great one, and I have enjoyed using it for our trips and for helping my clients with their trips. It is the present and the future I believe, so I think that we need to embrace it and roll with it. Rumors are surfacing, though, that their is in testing a new feature for the My Disney Experience app, one that may tip the scales considerably in Disney’s favor. 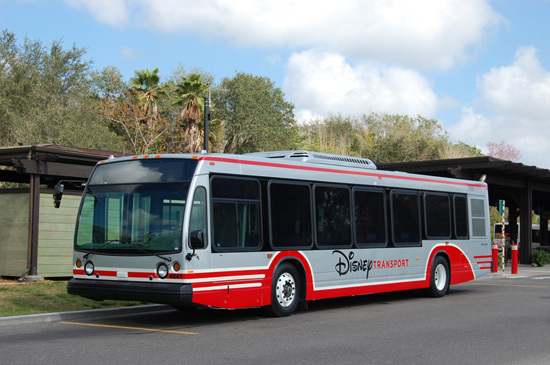 I’ve heard that Disney is in testing to see about incorporating a Disney bus wait times into the system! I personally think that this is a great idea, and one that would really improve a lot of guests experiences in transporting themselves around the Walt Disney World Resort! What do you think? Great idea, one that you would utilize each trip, or one that you think is no big deal? Please let me know in the comments, and also let me know what you think of My Disney Experience in general. Thanks, and have a great day! What is your Magic Band Report Card? Crowded or Too Crowded at Walt Disney World?